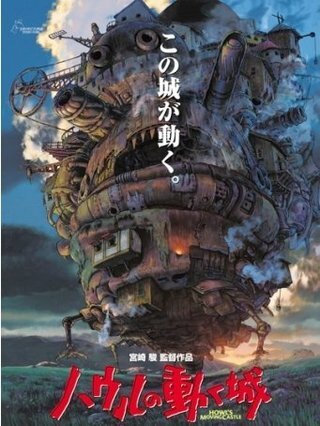 PennsylvAsia: 2005 Miyazaki film Howl's Moving Castle (ハウルの動く城) in Pittsburgh, April 7, 8, and 10. 2005 Miyazaki film Howl's Moving Castle (ハウルの動く城) in Pittsburgh, April 7, 8, and 10. The 2005 Miyazaki film Howl's Moving Castle (ハウルの動く城) will play in Pittsburgh on April 7, 8, and 10 as part of this year's GKIDS Ghibli Fest 2019. It will play at the AMC Loews Waterfront and the Cinemark theaters in Monroeville and the North Hills. The April 7 and 10 shows are dubbed in English, while the April 8 show is in Japanese with English subtitles. Tickets are available online.